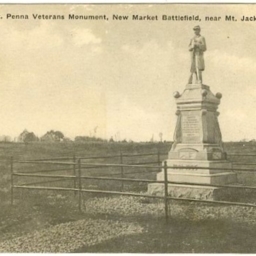 Postcard showing the 54th PA Infantry Monument located on the New Market Battlefield. 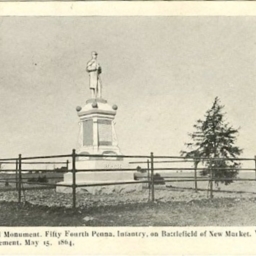 Postcard showing the monument to the Fifty Fourth Pennsylvania Infantry Regiment on the New Market Battlefield. 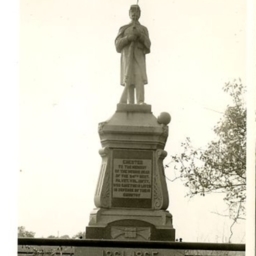 Union Monument at New Market Va.
Postcard showing the monument to the 54th Pennsylvania Infantry Regiment located on the New Market Battlefield just north of town. 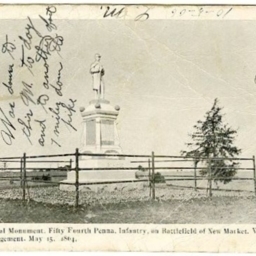 Postcard showing the 54th Pennsylvania Infantry Regiment Monument located on the New Market Battlefield just north of the town of New Market.